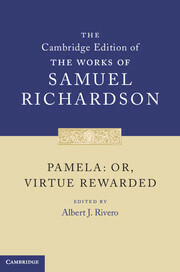 Pamela: Or, Virtue Rewarded is perhaps the most influential novel published in Britain in the eighteenth century. On its first publication in 1740, it became an immediate bestseller. 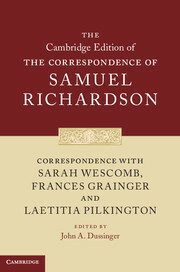 Its epistolary structure, tight plotting and didactic message were praised, imitated, but also criticised and satirised. 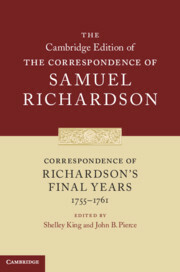 This new critical edition of Samuel Richardson's first novel features an authoritative text based on the first edition, general and textual introductions, extensive explanatory notes and textual apparatus. 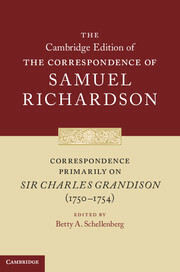 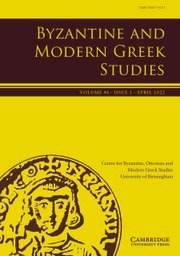 Appendices provide bibliographical descriptions of all lifetime editions as well as the editions of 1801 and 1810, Richardson's introduction to the second edition (fully annotated), and the illustrations and Richardson's index from the octavo edition. 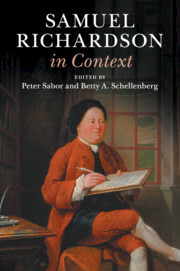 The publication of this volume heralds the first full scholarly edition of Richardson's complete works, a long-awaited event in eighteenth-century studies. 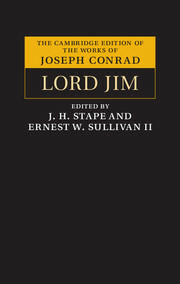 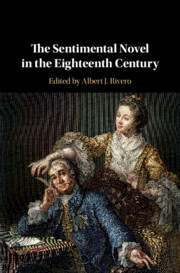 "The entire publication is something of a momentous occasion for readers interested in eighteenth-century literature and the history of the novel. 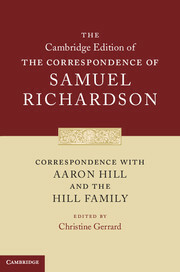 Publication of all the securely attributable works and letters will finally allow us to assess Richardson’s achievement with the aid of a fully annotated scholarly edition with explanatory and textual apparatus."